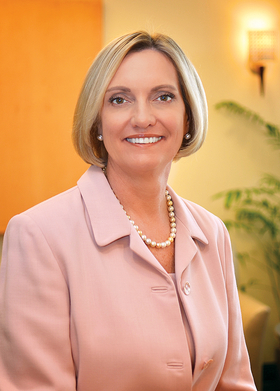 Annette Walker is president of strategy for Providence St. Joseph Health based in Renton, Wash. and chief executive of St. Joseph Health in Irvine, Calif.
Everything changed for healthcare in 2010 with the signing of the Affordable Care Act. While admittedly flawed and laden with complexities, the ACA eliminated some of the worst practices in the insurance industry. These included policy refusals for those with pre-existing conditions, policy cancellations on technicalities when illness appeared imminent, annual and lifetime coverage caps and no support for young adults just starting out in their careers. But we cannot forget the biggest benefit—insuring 20 million people who could not previously afford coverage. At St. Joseph Health, the impact was palpable. Our emergency rooms initially burst at the seams as people who had never enjoyed coverage sought immediate medical care. This intense demand came because so many had gone without care for so long. But we learned from this and began guiding many of these patients to primary-care physicians and toward more preventive health measures. It wasn't perfect and there were challenges, but we saw fewer individuals having to pay out of pocket, and it was clear many were being helped. Our health system also responded by continuing to provide charity care. None of that stopped with the ACA—in fact, we actually accelerated and expanded our efforts. Guided by our founders, the Sisters of St. Joseph of Orange, St. Joseph Health still supports many aspects of community need. However, as leaders in charity funding, we can unequivocally state that we cannot provide for all our communities' healthcare needs on our own. We cannot—and America cannot—go back again to life before everything changed in 2010. Yes, Obamacare isn't perfect, but it cannot be repealed without an adequate replacement plan. While we are heartened that certain elements of Obamacare are retained in the replacement plan introduced in the House, there are still many concerns. Under the American Health Care Act, millions of people would tragically lose access to coverage and much needed healthcare. A recent analysis by Standard & Poor's found about 6 million to 10 million people will lose health insurance under this replacement legislation, including 2 million to 4 million currently enrolled in the individual health insurance market, and 4 million to 6 million currently enrolled in Medicaid. Projected coverage losses are even higher according to an analysis by the nonpartisan Congressional Budget Office. We must also consider the importance of mental healthcare. Beginning in 2020, the proposed replacement plan not only phases out Obamacare's Medicaid expansion, it does away with baseline mental health coverage requirements. This change would mean certain Medicaid recipients would no longer get mental health and substance-abuse coverage provided under the ACA, or it would give states the ability to make coverage decisions. Considering the strides that have been made in recognizing the importance of addressing mental health disorders in our country, this is a major concern, especially for the most vulnerable among us who are already lacking access to mental health care. Providence St. Joseph Health's faith-based values guide us to take care of our community seriously. We join our colleagues around the nation to emphasize caring for those most in need. But you can't expect us to do it all without values-oriented policymakers who will partner with us. Together, we can fix what was wrong with healthcare and we can make things better. To any partner who wants to work with us and other healthcare systems across the country, we are ready and willing to roll up our sleeves with you. A healthier nation must be our goal and providing easier access to care is imperative.